GLENN HEIGHTS—What does a city do when an ordinance put on the books in early 2001, hasn’t been enforced? That is one of the growing pains the Glenn Heights City Council dealt with at a recent council meeting. With the city’s recent growth some ordinances have been amended over the past years. An agenda item pertaining to the city’s animal city ordinance adopted in 2001 took center stage at the council meeting. A resident and chicken owner was requesting that the animal ordinance exclude chickens. Apparently the chicken owners complained about a neighbor’s dogs. The dog owners then complained about the chickens. Which according to the ordinance were illegal at that residence due to property size. City Secretary Juanita Willman says there are still residents who have chickens on their property. Man of those are within 150-feet of a neighboring dwellings. The resident speaking at the meeting had in fact received a notice from Animal Control. He was told he was not allowed to have chickens on his property. The resident has said no to several interview requests. The ordinance says, no resident shall have fowl, rabbits or guinea pigs on their land unless it is one acre are more. Although there was no direct action taken Council members requested staff look into the existing ordinance. Afterwards report back at a future meeting. He added that according to the Center for Disease Control chickens can be unsanitary. For example, it’s common for chickens, ducks and other poultry to carry Salmonella. This is a type of germ that naturally lives in the intestines of many animals. Often these germs are shed in their droppings or feces. Live poultry may also have Salmonella germs on their bodies (including feathers, feet, and beaks). This occurs even when they appear healthy and clean. The germs can also get on cages, coops, hay, plants and soil in the area where the birds live and roam. Additionally, the germs can be found on the hands, shoes, and clothing of those who handle the birds or work or play where they live and roam. Davies said the SPCA does see chickens from time to time, usually as part of animal cruelty cases. No word on what the Glenn Heights City Council plans to do regarding the animal ordinance. The resignation of the City of Glenn Heights’ law firm Nichols Jackson Dillard Hagar & Smith LLP last month means the city council is now tasked with finding new legal services. Council recently authorized City Manager Aretha Ferrell-Benavides to begin the search. There is no timeline as to when a new law firm will be put in place. The City has the choice to hire a new legal firm, a single attorney or to hire a full-time salaried city attorney. According to staff reports the city spent $118,537 on legal services last year. For the current fiscal year the budget for services was decreased to $89,000. The city is anticipated to go over budget about $12,000, plus the additional costs of transitioning the new attorney. 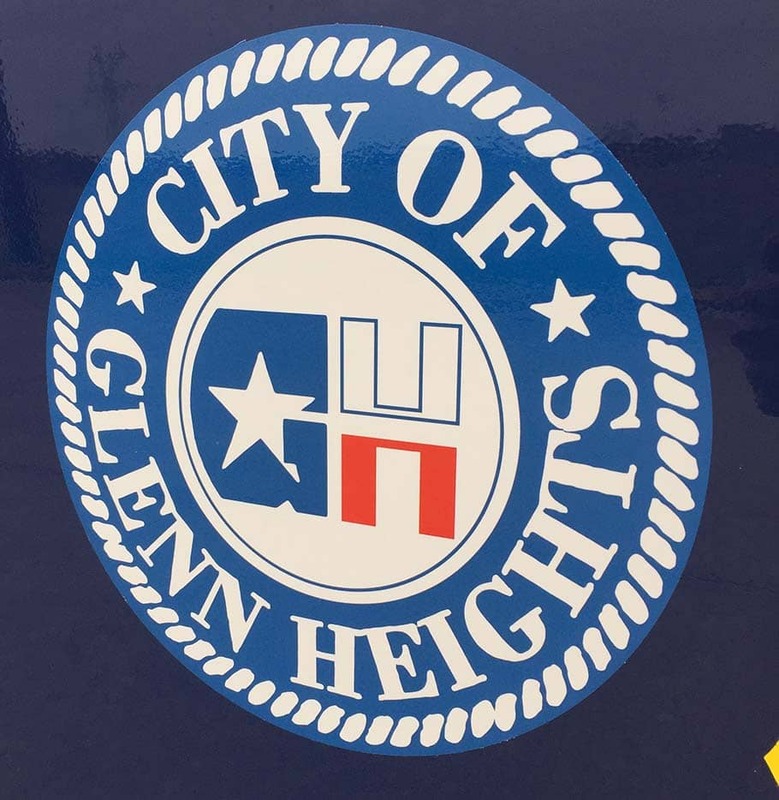 The ongoing discussion about a Charter Election crept onto the Glenn Height’s city council agenda again. Council plans to name a Charter Election Committee to look at the current charter amendments and make changes in a future election. The idea behind the change includes eliminating city council and Mayor term limits. Other changes include salaries for council officials and residency requirements for the City Manager, Police Chief’s residence as well as the Municipal Court Judge appointments. Regarding the Charter review item any changes will not meet the deadline for the upcoming May 17, 2017 election. Other amendments the Mayor and City Council are considering to the Home Rule Charter include moving the City General Election back to May from November requested by Mayor Leon P. Tate. There was also a proposal to divide the city into six voting districts, with the Mayor’s position at–large and council members to represent specific districts.